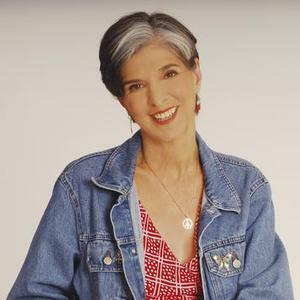 Marcia Ball (born 20 March 1949) is an American blues singer and pianist born in Orange, Texas but who grew up in Vinton, Louisiana. This same region spawned other American blues greats, including Clifton Chenier, Janis Joplin, Lonnie Brooks, Stevie Ray Vaughan, The Fabulous Thunderbirds, and Kenny Neal. Born into a musical family, Ball began playing piano at age 5, and showed an early interest in New Orleans style piano playing, as exemplified by Fats Domino, Professor Longhair, and James Booker. Born into a musical family, Ball began playing piano at age 5, and showed an early interest in New Orleans style piano playing, as exemplified by Fats Domino, Professor Longhair, and James Booker. In 1970 at age 21, she started a progressive country band called Freda And The Firedogs in Austin, Texas; in 1974 she began her solo career. Ball is known for her piano style, which shows elements of zydeco, swamp blues and boogie woogie. Most of her most well-known recordings came out on Rounder Records in the 1980s and early 1990s. She was inducted into the Austin Music Hall of Fame in 1990. In 2008, Ball made a guest appearance with the Legendary Rhythm & Blues Revue.